Fed Raises Rates Despite Trump Attacks, Stocks Tank The U.S. Federal Reserve is raising the benchmark borrowing rate to a range of 2.25 percent to 2.50 percent, a move that would put it at the highest level in a decade. Federal Reserve Board Chairman Jerome Powell speaks during a Rural Housing Assistance Council Awards Reception, on Dec. 6 in Washington, D.C. The decision stands to affect rates on all kinds of borrowing, from home mortgages to credit cards. Over the past year, the 30-year mortgage rate has climbed from 3.95 percent to a peak of nearly 5 percent in November — a seven-year high. It has since dropped to 4.63 percent. 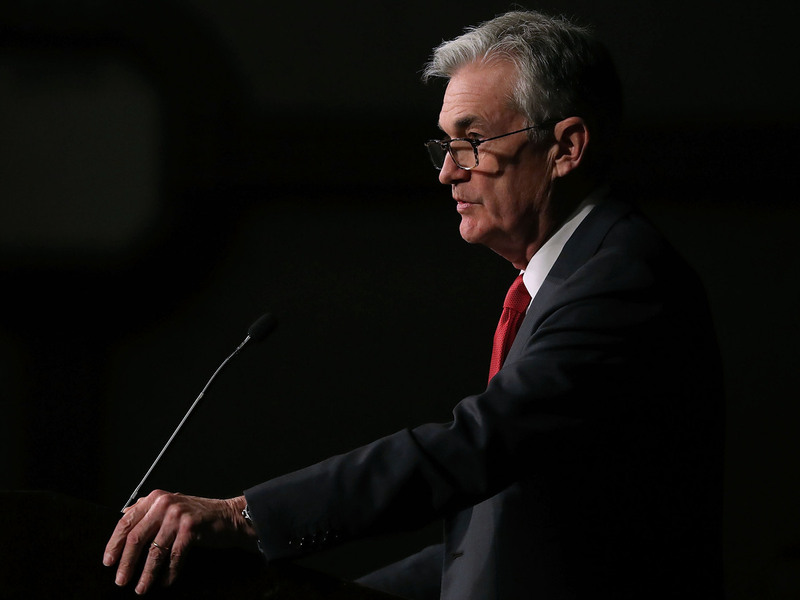 Fed Chair Jerome Powell said in a news conference that 2018 has shaped up to be "the best year since the recession." He added that the latest rate increase "was appropriate for what is a very healthy economy." The Fed gave a nod to concerns about global economic growth by saying it will monitor global and financial developments and said it will slow down the pace of interest rate increases in 2019. However, it wasn't enough to calm markets. New signs of the economy softening combined with market volatility have worried many economists that continued rate hikes will dampen growth. The president has ramped up pressure on the Fed, calling on the central bank to stop increasing interest rates. Trump's complaints about the Fed haven't been limited to Twitter. He called the Fed his "greatest threat" in October in an interview with Fox Business and has singled out Powell for pointed attacks. Such criticism is unusual — the Fed is viewed as an independent body and is expected to be insulated from political pressure. Presidents in recent times, including Trump's predecessors Barack Obama and George W. Bush, have refrained from overtly criticizing the central bank. The U.S. economy has given off mixed signals. The job market remains strong, with unemployment at the lowest level in nearly 50 years. Economic growth, measured as gross domestic product, clocked in at a solid 3.5 percent in the third quarter. But the stock market has tumbled sharply in recent months. Car and home sales have slumped as interest rates have climbed. And continuing trade tensions between the U.S. and China have led to growing fears about the outlook for the global economy.